Baltimore,: Or, The Steadfast Tin Soldier and the Vampire by Mike Mignola and Christopher Golden is on sale in digital format for $1.99. When Lord Henry Baltimore awakens the wrath of a vampire on the hellish battlefields of World War I, the world is forever changed. For a virulent plague has been unleashed—a plague that even death cannot end. Now the lone soldier in an eternal struggle against darkness, Baltimore summons three old friends to a lonely inn—men whose travels and fantastical experiences incline them to fully believe in the evil that is devouring the soul of mankind. As the men await their old friend, they share their tales of terror and misadventure, and contemplate what part they will play in Baltimore’s timeless battle. Before the night is through, they will learn what is required to banish the plague—and the creature who named Baltimore his nemesis—once and for all. Hello all, I have a guest review to share today from SurLaLune reader, Deborah J. Brannon. Thanks for sharing with us, Deborah! Roses and Rot is a knife in the dark, and a comforting embrace after that sudden welling of blood. That sounds melodramatic, but it can’t be - not with this book. Roses and Rot is Kat Howard’s debut novel and it is a paean to survival, to thriving, to fairy tales. You think you know this story - and maybe you do, but only because you’ve lived it. Two sisters grow up under the cruel ministrations of a manipulative, self-centered mother. The older sister escapes and goes away to school, leaving the younger sister unprotected and alone. They lose each other for seven years, only to find their way back together in a magical, mysterious land: Melete. Melete is a prestigious retreat for artists of every kind. Melete is a Greek Muse and a word that means “contemplation.” Melete is the perfect place for two sisters to find each other again and then to find their own voices and their own successes. Imogen, the elder sister, is a writer. Marin is a dancer. They both bear deep wounds from the psychological, physical, and emotional abuse inflicted upon them by their mother. Some are obvious; some lurk to be stumbled over later. Melete encompasses the same complexity: a prestigious and intense artists’ retreat on the surface, Melete actually serves as the feeding ground for the Faerie Host. The creative focus and passionate spark of artists sustain the Fae, and each year the most promising Melete Fellow is selected to pay that tithe. They are taken into Faerie for seven years, alone and plumbed for their deepest passions, before being cast back into our world. Their reward is guaranteed success in whatever creative endeavors they pursue. This is a book about how we help and hurt each other. It’s about the font of creativity, and paying for our choices. It’s about parents failing children, and people finding ways in camaraderie to build each other up. It’s about people who want to be less human and creatures who want to be more. It’s about what happens when we fail, and what happens when we don’t. It’s a thorned rose aching in your throat when you find yourself in its pages - as many of us childhood survivors will. It’s a story about facing down the tithe, and this is no Tam Lin. Kat Howard’s Roses and Rot is well worth your time, as she builds compelling characters and weaves an enticing setting in contemporary rural America. She intelligently explores mature themes and the artist’s working life, while still evoking the wonder of creation and salvation of loving friendships. You’ll find her story doesn’t easily let you go. You’ll be drawn back to Melete, back to Imogen and Marin, their friends and enemies, more than once. I’d say I’m sorry - but I’m not. 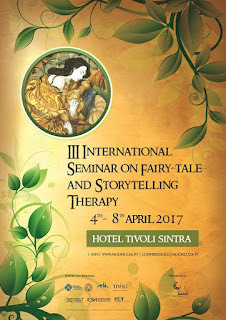 It is with great pleasure that we would like to invite share with you the information about our III Seminar on Fairy-tale and Storytelling Therapy that will be held from 4 till 8 of April 2017 in Sintra, Portugal. It will be another opportunity to bring together specialists, academics, therapists, storytellers and all other enthusiasts of fairy-tale and storytelling, and their therapeutic and healing potential. And we are most happy to inform that this time the Seminar will be proceded by pre-Seminar workshops which will take place on the 4th of April. Due to its format these workshops have fewer places than the Seminar and the registration is not included in the full Seminar registration. So please check the detailed information regarding each of this workshops. The conference will consist of plenary talks, workshops, panels with papers, and roundtables. This conference will take place at Wayne State University in Detroit, MI, August 2-5, 2017. Plenary Speakers and Workshop Leaders include Pauline Greenhill, Dan Taulapapa McMullin, Veronica Schanoes, Kay Turner, Jack Zipes, and more to be confirmed. Deadline for Abstracts: January 10, 2017. Papers for panels: Please send us a 300-word abstract along with your institutional affiliation for papers of no more than 20 minutes. Roundtables: If you would like to propose a roundtable, please include a 150-word abstract of the topic and a list of participants with their institutional affiliations; each presentation by roundtable participants should be no more than 10 minutes. Acceptances by February 15, 2017. 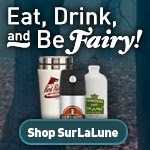 Celebrate National Read a Book Day--Read a Fairy Tale! Today is National Read a Book Day! So what book do you want to read today? Over the holiday weekend, I craved some comfort reading with all of the ongoing personal stress right now and found myself returning to Jane Eyre for the umpity-umpth time. The book has changed for me over the decades as I have changed, but I don't grow weary of it as I have with many other books that will remain nameless here today. Bonus that Jane Eyre counts as fairy tale reading for me with the overt Bluebeard references, too. Jane Eyre and Jane Austen, comfort reads forever, I think. And on a related side note, if you haven't seen Love and Friendship yet, well, it's now available on DVD as well as streaming. Excellent movie! So what fairy tale or folklore related title do you hope to read today? My stack is to the virtual rafters with little time allotted for fun reading today, so I think I may choose to read the book I've been hording for over a month, Beauty and the Beast by by Mahlon F. Craft (Author) and Kinuko Y. Craft (Illustrator). I've already seen most of the illustrations from the Beauty and the Beast 2017 Fairy Tale Wall Calendar, but I haven't read the book and explored all of the illustrations yet.